Full confession: Pizza is a comfort food for me. It brings back fond memories of sleepovers with friends and movie nights with my family. However, pizza is also a “diet destroyer” in my life. For example, one slice of DiGiorno pepperoni pizza is 549 calories. 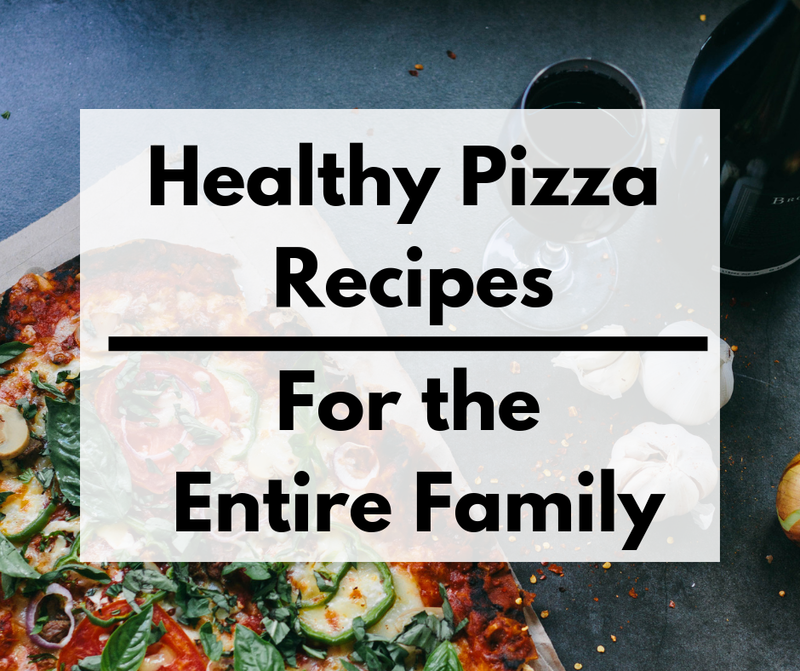 That’s why I’d like to focus on a few healthy pizza recipes for the entire family to enjoy that’s delicious and guilt-free. Before we get started I’d like to introduce to you the magic of cauliflower pizza crust. Cauliflower is high on Vitamins K and C that keep your bones healthy. Vegetables like cauliflower help detox your liver. It reduces high blood pressure. High in fiber and antioxidants. Classic sandwich – meet healthy pizza. Besides gooey cheese and savory ham, try adding some sweet and crisp Fuji apples for the perfect balance. Be sure to add some leafy greens on the pizza and then bake for 25 minutes. 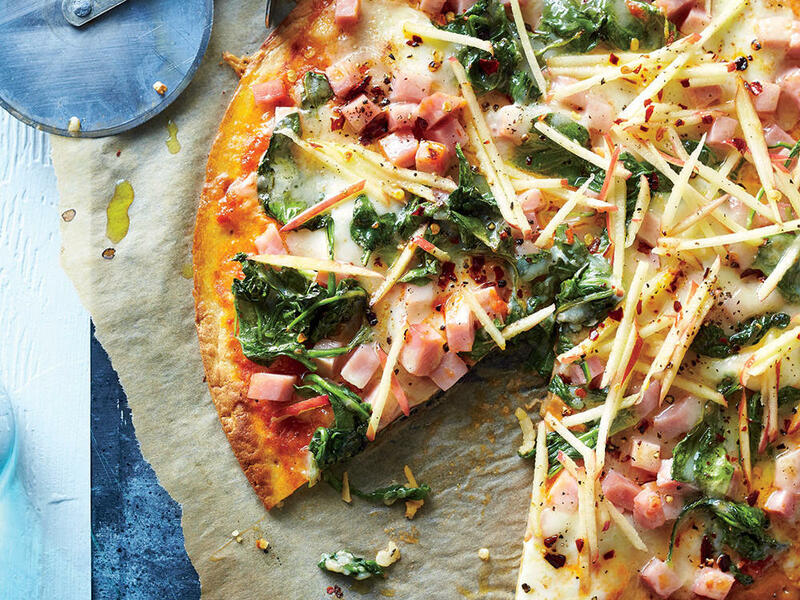 You – and your kids – will love this new go-to pizza. My mouth is literally salivating while typing this. These cute mini pizzas are so good – and healthy for you. Plus, the combination of pizza toppings is downright inspired: asparagus, walnuts, mint, orange, and smoked mozzarella cheese. Your family will thank you for this later! I had to include a pizza for dessert – why not? 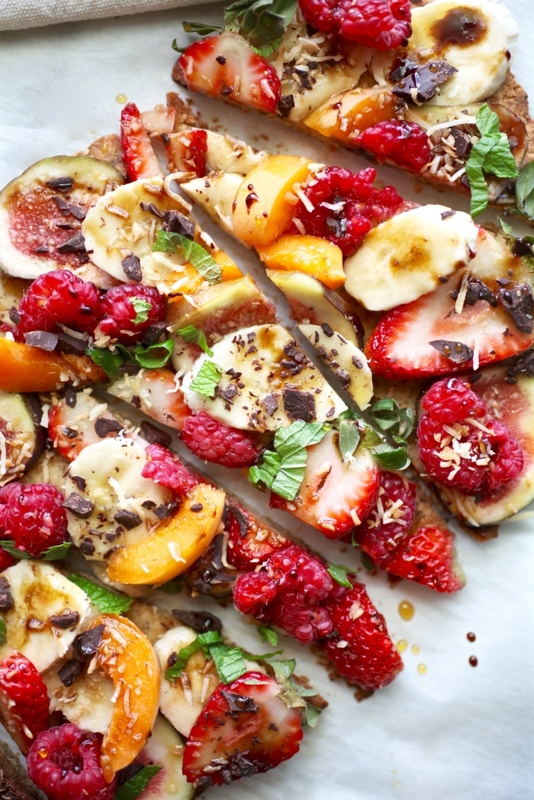 This fruit-filled pizza is hard to resist. With strawberries, apricots, figs, raspberries and bananas decking out this grain-free, almond flour, and ground flaxseed crust (try it! ), this pizza is one for the books. Plus, you and your family can enjoy a healthy dessert pizza without an ounce of guilt.